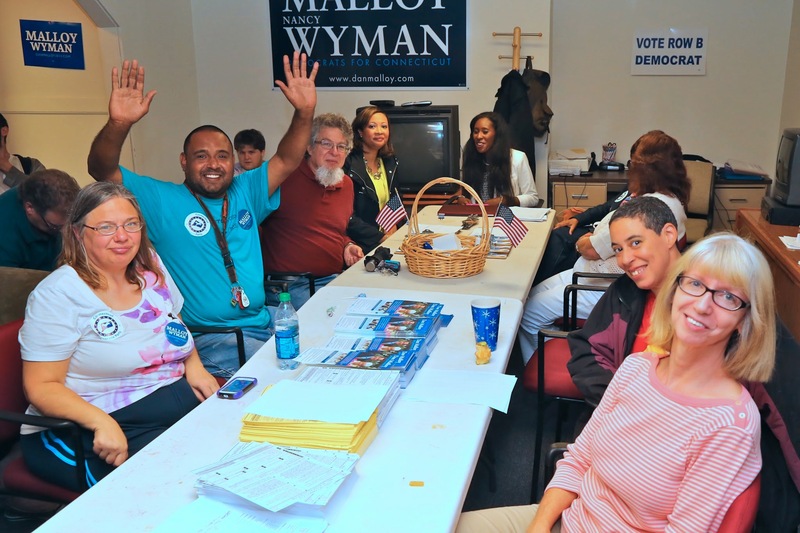 ← Malloy At NB HQ Saturday To Thank GOTV Vols……NAACP Dinner 9/20….LWV Pot Luck and Pols 9/29….Tercyak On Living Wages and Corporate Welfare…. 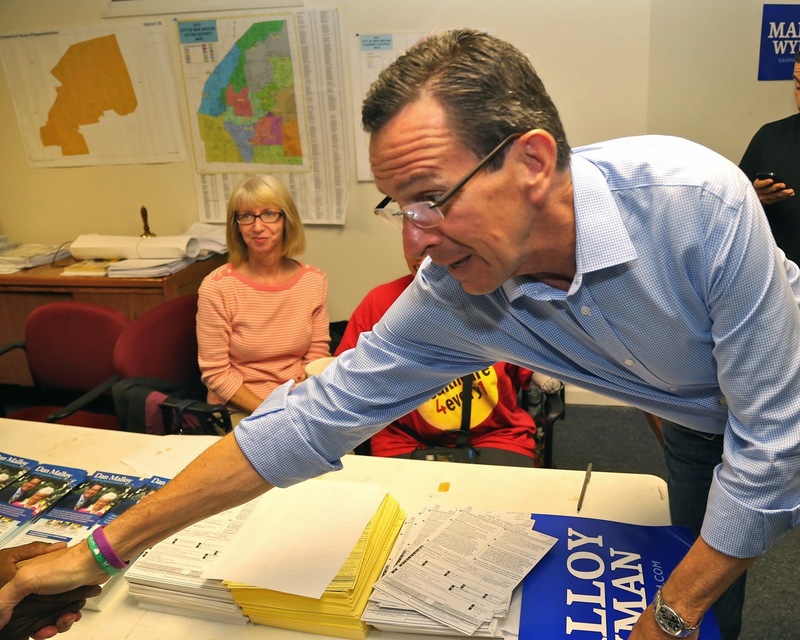 Governor Dan Malloy and his wife Cathy brought his campaign for re-election to New Britain and Democratic headquarters Saturday, thanking volunteers at a crowded Democratic headquarters and heading over to the downtown Oktoberfest festival. Governor Malloy greets campaign volunteers at Democratic headquarters. 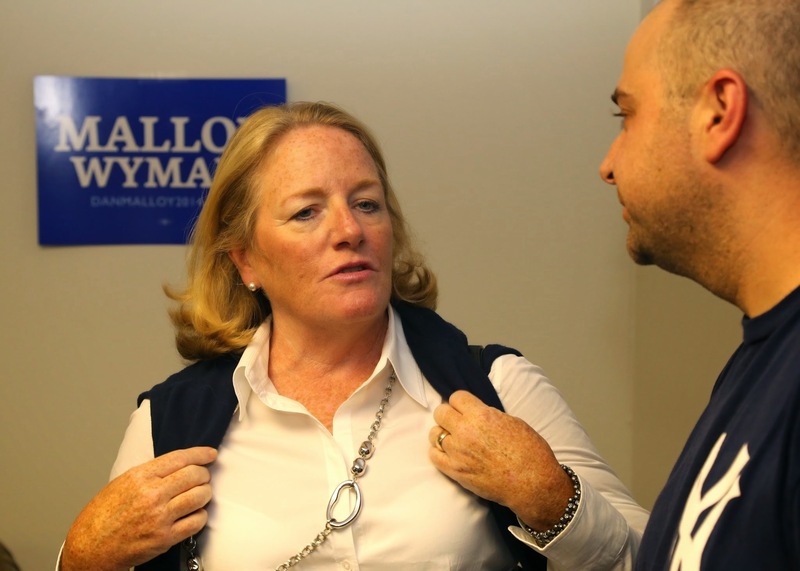 Malloy, drawing sharp differences with the Republican gubernatorial nominee, Tom Foley, cited his administration’s accomplishments over the last three and a half years in a pep talk to local Democrats. He pointed to the new minimum wage law, student achievement gains and higher graduation rates, steady progress on creating jobs since 2010 and successful implementation of the Affordable Care Act. Connecticut, he said, has become a model for the nation in insuring the uninsured and making access to health care a right. 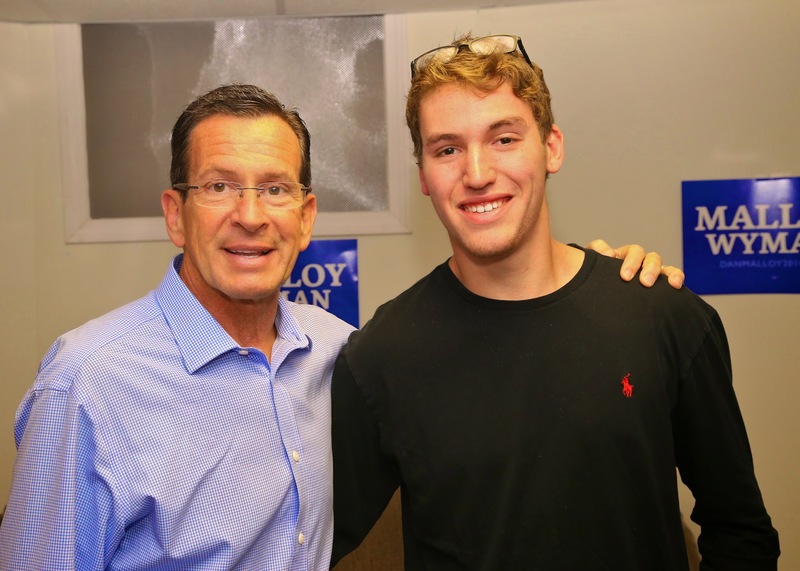 Governor Malloy with Wyatt Bosworth of Danbury, the Treasurer of the CCSU College Democrats. 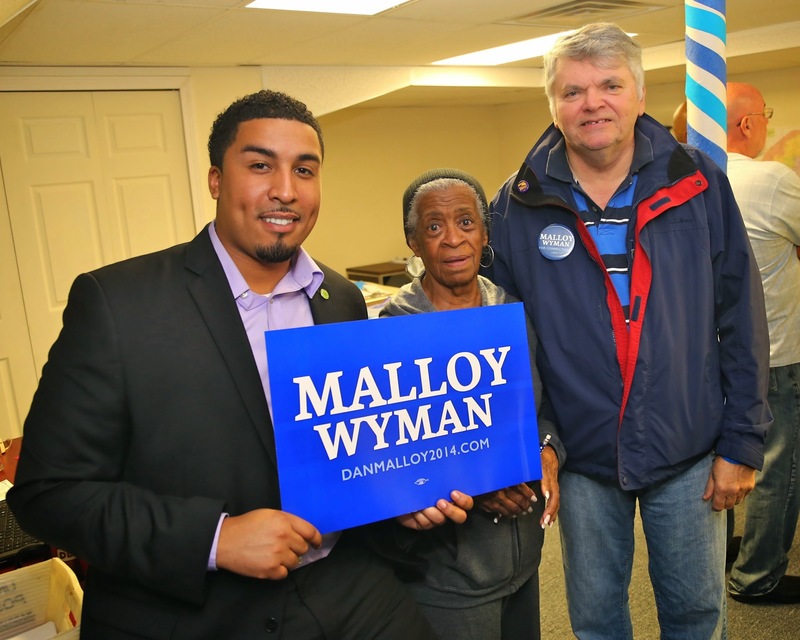 Malloy urged volunteers and local leaders to get out the vote on November 4th before moving on to the downtown Oktoberfest Festival with State Senator Terry Gerratana and State Rep. Bobby Sanchez. This entry was posted in Bobby Sanchez, Gerratana, Malloy, Meeting/Event, Peter Tercyak, Rock The Vote, Sanchez, transportation. Bookmark the permalink.